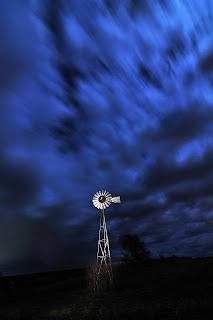 This is a light painting of a windmill - as you can see - there were plenty of clouds. But I think it really adds to the drama. There is no place like NE!